Acquiring customers is probably the most difficult challenge faced by startups but it’s also the end goal, the key to success. The earlier you understand in depth who your customers are and what they need, the easier it will be to create a product they will love and buy. Your product doesn’t have to solve every problem under the sun for your customers to fall in love with it - the key here is to figure out what’s most important to your customers and to get your product to solve that single problem well. Which is why the next step in the ideation phase is all about research and discovery. What is it? Who does it? And how should they do it? Finding out who your customers are. You want to ensure that the problem you’ve identified affects a large enough group of people. You also need to decide who out of those affected you will be targeting; is it everyone or just a segment? Finding out what your target customers need, both consciously and subconsciously, in order to design a solution which is tailored to those needs. The key to finding out what your customers really want is in-depth and creative customer discovery. Your aim should be to not only clarify what your customers consciously want, but also discover their latent needs. 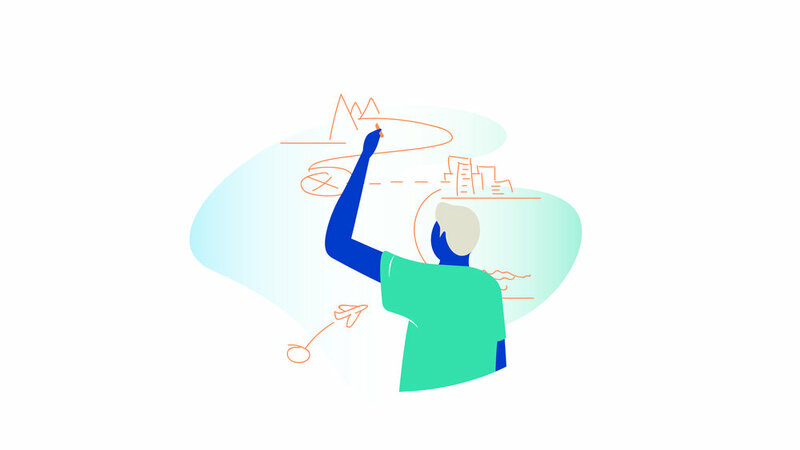 To help you visualize this process, check out this research toolbox by Daedalus and Thoughtform that offers up 23 examples of research methods that you can use to uncover your customers’ needs. The aim here is to help you learn about your customers in-depth -- what they do, how they think, and what their priorities and centers of influence are. It’s all very well and good to know how you’re going to go about your customer discovery, but what are you even supposed to be discovering? What are the “hypotheses” you need to be testing? Take note of your primary assumptions about your customer; consider the problem you are solving for them, and how the customer will interact with and ultimately buy into your solution. Then design your research methods around some key questions: how many people are affected by this same problem? Can the scope of the problem be measured? Why does the problem persist? Can the problem be fully solved? On a daily basis, how often do customers face this problem? Who is most affected by it? How much is a solution worth to customers? What would be the ultimate solution for customers if time and money were no issue? Existing market: your idea is cheaper/faster/better than existing products in the market. In a new market, your solution is nameless, customers have no knowledge of how your idea might work or even that there is a problem which you could solve. In this case, your discovery strategy will be heavily based on customers’ latent needs. The key is creativity in your methodology and in-depth, patient observation in practice. In a segmented market, your aim is to sell to a niche of an existing market based on your knowledge of that segments’ particular needs. Your customer discovery approach can be more focused, users will be more able to articulate their needs than in the case of a new market. This being said, you are still introducing a solution based on unexplored territory so the influence of subconscious needs remains. A mix of getting the customer to show/tell you their needs and observing for yourself their latent desires is necessary. Finally, within an existing market you need to not only understand your potential customers but also understand your competitors in detail. As well as testing your hypotheses, your customer discovery strategy should explore a few key questions about your competitors: what are their product’s precise features? What defines their business models and sales channels? How do customers use these competing products on a daily basis? Where do they encounter difficulties? List your hypotheses: think about your assumptions regarding your customers, your identified problem, and your market type. Choose several wide-ranging and in-depth customer discovery methods: these must be effective at testing your hypotheses but also at presenting new information to help shape the design of your solution. Get out of the office and test your hypotheses: keep an open mind and don’t lead your witness! The information you discover which disproves your hypothesis will be key pivot points later on at the design phase.